With so much turnover this offseason the Atlantic 10 will enter November full of question marks. We’ll all be paying attention to how new coaches attempt to fill big shoes at top programs while others look to either rebuild or pull perennial cellar dwellers off the mat. I expect drama. On the court there is much to be answered, but I suggest paying particular attention to the following players from each Atlantic 10 team. They may have a huge say in the ceiling of their respective programs, for better or for worse. Let me begin by saying I think Jon Axel Gundmundsson is Davidson’s likely major breakout star on next year’s team, perhaps no surprise after averaging 30+ minutes as a freshman and shooting 60% from deep in last season’s A-10 tournament. On paper he’s Davidson’s “next Jack Gibbs”, if you will. But the player on Davidson’s squad that intrigues me the most is Pritchett. A 6’6 guard/forward, Pritchett is built like a high-major guard and flashed a little bit of everything you want to see from a promising young player. He dished a career-high seven assists against George Mason, grabbed 10 rebounds against Fordham and scored a career-high 11 points versus Richmond thanks to a 3-5 night from beyond the three-point line. There are a lot of things Pritchett can do. His problem is finding a way to do them consistently (outside of turning the ball over). I’m incredibly interested to see if he’ll make that positive jump in what will be the sophomore’s third year removed from high school. 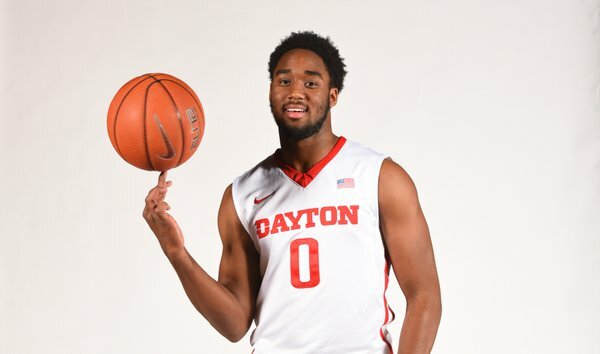 The Bradley transfer hit Ohio with some hype after a promising freshman season in the Valley, but crash landed as a Flyer due to an early season injury after two very promising games to start the season. Upon his February return he offered up a sampling of his promise, but couldn’t carve out enough big game PT to really make a name for himself on last year’s experienced unit. With so many question marks heading into next season new head coach Anthony Grant will need the junior big to show Flyer fans they had reason for excitement when Cunningham first hit campus. Easily the most intriguing addition to the Dukes is new coach Keith Dambrot, but on the court the player I’m most interested in seeing in action next year is Eric Williams Jr. Williams became Dambrot’s first recruit and is an intriguing one in my opinion. Why? Because I like Williams as a bit of a deep sleeper. He’s a state champ at a lower level in Michigan where he put up legit numbers (averaged 20.9 points and 6.5 rebounds and scored 50 and 40-point nights) but received little D1 attention. Those are the types of players that eventually can turn into “steals” at schools in this conference. While that’s no guarantee he turns into a star, he has my attention early. The offseason wasn’t all too kind to the Rams, seeing a pair of key transfer departures they’ll hope will be softened somewhat with the addition of JUCO transfer addition, Tre Evans. The former high school three-star originally committed to Old Dominion despite a Power 5 in-state offer from Oklahoma State (coached at the time by no SLU head coach, Travis Ford), but reopened his recruitment and eventually went the JUCO rout. Evans was impressive in his one year at Kilgore College, averaging 15.4 points per contest and an impressive-at-any-level 40.6% three-point stroke. Evans ability to consistently hit outside shots on the league’s 8th-worst three-point shooting team should be somewhat of a welcome site for Ram fans. I’m curious to see how much of an impact Evans can have on a team that will be expected to struggle but one that, with consistent production from the JUC transfer, could have a sneaky good backcourt. George Mason was nationally elite in one stat last year: defensive rebounding. It’s what Dave Paulsen coached teams do (top-20 his past six seasons including four finishes in the top-2). The Patriots checked in at 13th in the nation at cleaning up on the glass defensively last year but will head into November of 2017 without the team’s overall two best rebounders in Marquise Moore and Jalen Jenkins. The green and gold return a ton of young backcourt options but proceed with some major question marks in the paint, which is what draws my attention to Relvao. Will he be Mason’s enforcer down low or will it be Troy Temera? Will it be neither and instead a seriously small small-ball lineup or a young group with Greg Calixte? I give the edge to Relvao early but won’t be surprised if he’s eventually overtaken. With UVA transfer Jarred Reuter on his way for the 2018-19 season, consider this somewhat of a contract year for Relvao in terms of cementing any chance at a large role for the future. It’s hard to keep up with who remains at GW after two transfer-filled offseasons, but barring some very last-minute cold feet, Patrick Steeves should be hoopin’ in Foggy Bottom this November. The Harvard transfer flashed some big game potential this past season, but will depended on more than ever next season, joining Yuta Watanabe as the team’s top returning players. Steeves really started to heat up toward the end of last season including a career-best 26-point night in a win over UMass, then scored at least 16 points in two of his last three games of the season. Steeves played just five 30-minute games last season but averaged 15 points during those contests. I think it’s safe to pencil him in for at least 12 ppg this season and perhaps more, as Maurice Joseph’s young group will need big seasons out of Steeves and Watanabe to keep the Colonials out of this year’s A-10 cellar. Interesting (to me) stat: four Explorers averaged 30 or more minutes for Dr. John Giannini’s squad this past season. That’s not a strange site for Explorer fans however, that’s pretty much what Giannini does. So who’s in line to join the 30-minute club for the 2017-18 season? With the graduations of Jordan Price and Cleon Roberts, that likely means a return to minutes for a guy like Johnnie Shuler. But I’m of the opinion the good doctor finds a way to carve out an increased role for South Carolina transfer Demetrius Henry. The 6’9 forward contributed 19 minutes per game last season, finishing 61% of his attempts while on the floor and led the team with a defensive box plus/minus of +1, one of just two players in the positive on last year’s team. A Rivals four-star top-100 player out of high school, I’m interested in seeing if Henry can put together a career season his senior year in Philadelphia. With Derek Kellogg gone, is this finally the season we get to see the big dog eat? I am of the opinion that there is perhaps no more dominant of a player in the Atlantic 10 as Holloway (yes, I just said that) — certainly none as physically imposing — yet he logged just 19 minutes per contest on last season’s team despite leading the squad in overall box plus/minus and checking in at second in points. This is a guy I saw Mo Alie-Cox call for a double-team on and a guy who pushed Hassan Martin around with ease. Does he get called for a ton of fouls? Yes, 6.5 per 40 minutes. But Holloway tallied no more than three fouls over his last 11 games yet logged under 20 minutes in six of those contests including the Minutemen’s final three. New UMass head coach Matt McCall will have a ton of tough decisions to make but here’s one easy decision: PLAY HOLLOWAY. There will be a ton of eyeballs on Langevine this season and for good reason. Rhody loses two of their best players to graduation and both were dominant 6’7+ bigs. Is there guard talent galore on next year’s roster? Hell yes. The Rams are stacked in the backcourt and could opt to play much smaller at times than last year’s team that included 6’7 bruiser Hassan Martin and the 6’9 versatile Kuran Iverson, but I can easily imagine a scenario where the duo of Langevine and the extremely capable (and underrated?) Nicola Akele are gifted the roles vacated by last year’s talented twin towers duo. While I love Akele’s ability to take over the stretch-4 duties of Iverson, Langevine’s ability to lock down the paint like Martin intrigues me most. During Martin’s absence last season a freshman version of Langevine averaged 5.6 points, 10 rebounds and 2.2 blocks in his 23.8 minutes of PT. The Rams went 4-1 over that stretch but lost their only top-100 matchup, a close 82-77 defeat at Houston. Langevine has serious 2017-18 breakout potential and I look forward to seeing how he handles the increased role on what will no doubt be the early A-10 favorite. Basketball fans got a huge scare last season when Richmond freshman Grant Golden collapsed 3 minutes into his playing time against the Texas Tech Red Raiders. What looked like a slip at first turned into a sideline collapse that sent the 6’9 Winchester product to the hospital to address a cardiac issue. Golden is set to return this season and barring no further medical issues could take on a huge role thanks to 32.6 minutes vacated by A-10 Player of the Year, TJ Cline. It’s hard to glean much from a 68-minute sample, but if you want to really dig for signs (which coincidentally is exactly what I’m interested in), Golden’s 20.9% assist rate is one reason for hope. The Spiders leaned on Cline to not only score last year, but to make so much happen around him, leading the team with an absolutely ludicrous 38.2% assist rate (10th nationally and No.1 for guys standing over 6’3). The Spiders often struggled when Cline was limited last season, going 1-2 in games the senior played fewer than 20 minutes. Richmond lost on the road to both Mason and Bucknell and defeated kenpom No.313 Robert Morris 81-69. The goal for many teams was to get Cline out to limit Richmond’s effectiveness. Well, he’s out, which means it’s Golden time at the Robins Center. How up for the challenge will he be? I can’t wait to find out. Two stats I love: field goal percentage and rebounds per game. Those stats tend to translate when making jumps from one level to the next and I’m curious to see how Gueye’s 63.9% JUCO field goal percentage and 8.4 rebounds per game from last season at Kilgore College (my second Kilgore player on this list) carries over A-10 hoops. The Bonnies are loaded in the backcourt next year with senior leaders Jaylen Adams and Matt Mobley, but will likely be left to only dream of an NCAA tournament if they get next to no production out of the front court. The 6’10 Senegal native could surprise a lot of people. The return of Shavar Newkirk to the Saint Joseph’s roster should be a breath of fresh air to Hawk’s fans. Last season after a 7-5 start with Newkirk that included two kenpom top-100 wins (note: Jame Demery played in just two of those games, both wins), the Hawks dropped 15 of their next 19 following the Newkirk injury. So there’s that. Newkirk is a bit of a difference maker for SJU, as you’d expect from a guy with a 27.3 player efficiency rating. But my man needs help. Outside of Newkirk, Phil Martelli will no doubt lean upon Charlie Brown, Lamarr Kimble and Jame Demery, the teams three other double-digit scorers, but only one of which (the freshman Brown) came anywhere close to being considered “efficient”, both Kimble and Demery posting sub-90 (hint: bad) offensive ratings in conference play. I may be an outlier in this opinion but I’d just like to see more from rising junior Markell Lodge. The 6’7 forward finished 74.1% of his attempts last season and led the A-10 with a 138.9 offensive rating. He was top-20 in conference in both offensive and defensive rebound percentage, making him statistically one of the best returning rebounders in the conference. His 6.6% blocks percentage ranked sixth overall in last season’s A-10. Lodge finished the season with a +3.4 box plus/minus, second to the team to only Newkirk and one of just five players in the green for the Hawks. Do numbers lie? I mean, do they? Does Lodge carve out a larger role on next year’s team? I think the answer to that question could end up a likely indicator of just how successful Saint Joseph’s can be next season. I’d say there’s nowhere to go but up for the Billikens, but having finished ahead of three teams in last year’s conference standings, I suppose that’s not entirely true. Either way, the Bills are in the beginning stages of a rebuild and a huge chunk of SLU’s future success will likely fall on the shoulders of the ESPN top-60 recruit. The Belleville, Illinois native decided to “stay home” by committing to the St. Louis, Missouri team (geography lesson: it’s just a 25-minute drive), giving Travis Ford his first huge piece towards the Billikens hopeful return to prominence. In rebuilds such as these there isn’t quite the pressure to win right away, thus pretty much guaranteeing a huge role for the freshman on next year’s team. I for one look forward to seeing what he can do. Interesting fact: despite offseason turnover, VCU could potentially start three players that averaged at least 12 points in their last seasons of DI college hoops, which is actually one more than they started last season. Justin Tillman checked in at 12.2 on last year’s VCU team, Longwood grad transfer Khris Lane averaged 17.1 this past season for the Lancers and Issac Vann averaged 16.4 as a freshman Maine Black Bear two seasons ago. The final two starters? Johnny Williams (8.3 ppg) and De’Riante Jenkins (4.3). Jenkins injured his foot this past season and saw inconsistent playing time as a freshman under Will Wade when he was healthy. But here’s what he did show: the best effective field goal percentage on the team at 61.4% thanks to a 45.5% season from beyond the three-point line. I’m of the opinion the top-50 recruit out of high school likely has the highest ceiling on next season’s team and could absolutely explode under Mike Rhoades in what promises to be a faster, more three-ball dependent version of VCU. Though I agree KiShawn Pritchett is a very intriguing & versatile player (can play the 1-4), it looks like he could possibly come off the bench this season. Davidson started 2 freshman (Grady & Frampton) at a scrimmage in Slovenia.